Mount Pleasant Granary - Comments - Sunday 11th. May, 2014 – More Culture! 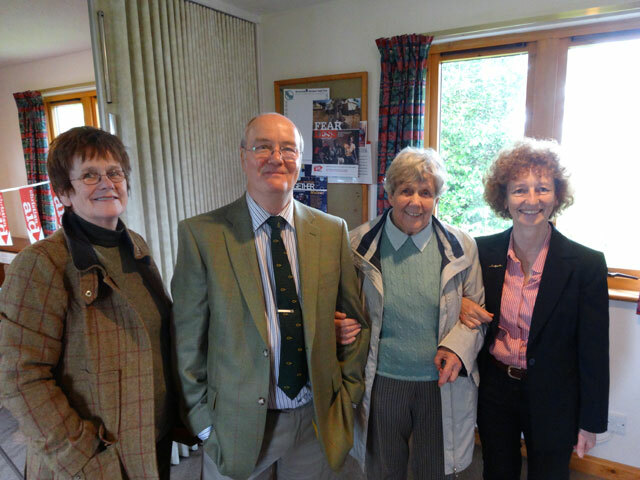 Up, showered, walked Mix and breakfasted before setting off with Mum, Cathy and Rachel for Church at Gavinton where Ann presented a service on the theme of the ‘I am’ sayings of John’s Gospel, rounding the service off with a Christian Aid prayer (there was a united Christian Aid Service at Duns this afternoon which we missed because of a prior arrangement to go to the Maltings). 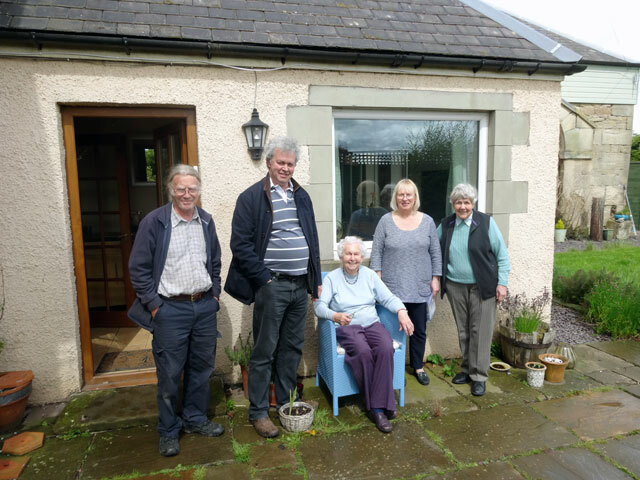 Back home, after coffee, we all dined in the farmhouse – Olive, Digger, Veronica, Peter, Cathy, Mum, Rachel and I. Scott and Sue had popped in a little while before lunch to bring Mum her birthday present – a seat for outside her garden room. On the basis that one picture tells more than many words, here is Mum in her seat with Digger, Scott, Sue and Cathy. After lunch Rachel and I drove to Berwick where we attended the third concert given by the Royal Northern Sinfonia. This time it was a programme of Wind Quintets. The programme started with six Bagatelles by Ligeta and then Francaix’s Wind Quintet number one. After a short interval (time for a drink in the bar) the programme continued with Klughardt’s Wind Quintet (opus 79) and ended with Nielson’s Wind Quintet (opus 43). It was an exciting programme presented by five talented musicians: Eilidh Gillespie (flute and piccolo), Steven Hudson (Oboe and cor anglais), Jessica Lee (clarinet), Stephen Reay (Bassoon) and Peter Francomb (French horn). I was sorry the studio theatre wasn’t full – it deserved to be. I love these music performances, they are of the very best. Back home we all (Peter and Veronica had set off for home by this time) dined on the left-overs from last night. Then Rachel and I came back to the Granary, leaving Cathy happily dismantling a chair with Digger. We watched a fairly recently broadcast edition of Midsomer Murders. Mum and Cathy joined us just before it ended and we had coffee and snowballs before watching the News. We walked the dogs and went to bed.